Kayak Agua Fresca invites you to live this amazing experience that you will cherish for the rest of your life. 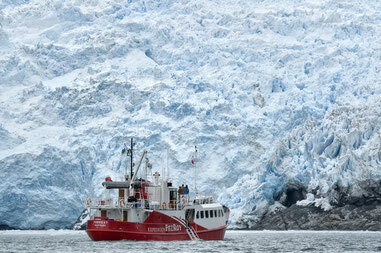 This is an incredible opportunity to feel one of the last untouched natural areas in the world. 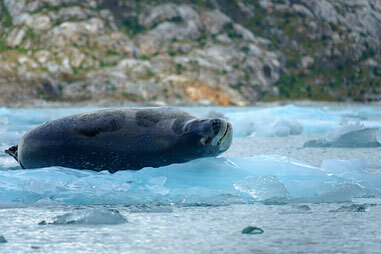 We invite you to follow the ancestral canoe routes where “Kawesqar” native people once sailed. In our adventures, we deliver educational values on the local cultural heritage, information of the historical voyages, and promote conservation of the diverse biodiversity, among others. This unforgettable experience will make you feel like a true adventurer, as Shackleton or Darwin when they travelled through these unique landscapes. Enjoy this truly memorable outdoor experience! 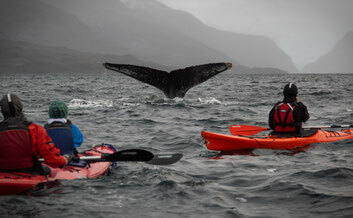 Sail on your sea kayaks next to the whales scrolling between fjords and glaciers of Chilean Patagonia in the mythical Magellan Strait and Darwin's mountain range in Tierra del Fuego. This is an adventure trip for nature lovers with the additional comfort and safety of the support provided by the “mothership”. mountain range. 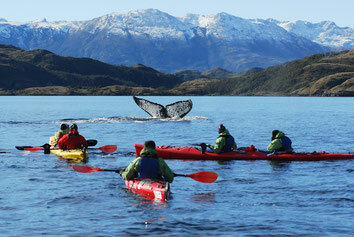 This trip offers the logistical support of the mothership, so that while you face the ever-changing conditions of the Patagonian nature, exploring it in the kayaks you have the constant support of the ship with all its amenities. This offers the opportunity to have these close encounters with nature to visitors who do not have the time or experience to make an autonomous expedition.